Tiny Buddha began as a quoteaday Twitter account, @tinybuddha, in 2008. Lori Deschene's daily wisdom posts about mindfulness, nonattachment, and happiness became so popular that she now has more than 200,000 twitter followers who share quotes and stories about inspiration in their daily lives. 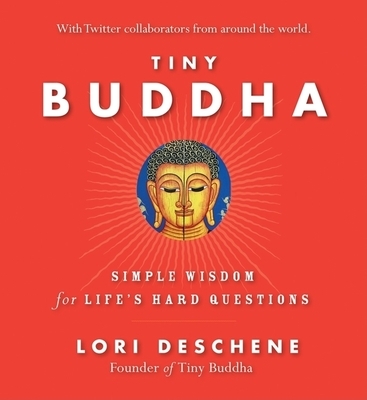 Tiny Buddha, Simple Wisdom for Life's Hard Questions is a combination of the amazing responses that she received along with her own insightful essays, and insights from wise teachers around the world and throughout time. Deschene explores how these issues have played out in her own life and offers actionoriented suggestions to help people empower themselves, even in a world with so much uncertainty. The result is a guide that helps readers discover the endless possibilities for a life lived mindfully in the present, and connected to others.